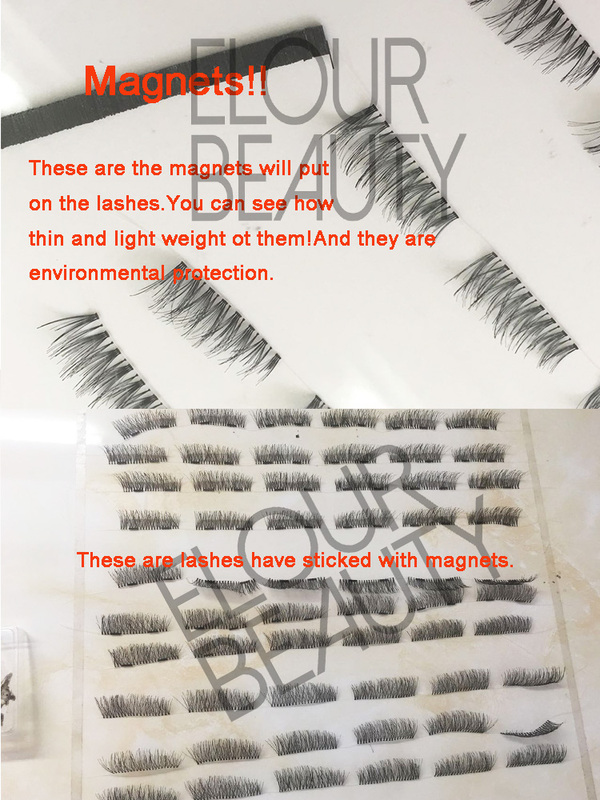 Full lashes double magnetic eyelashes different styles wholesale.Full magnetic lashes with two magnets on the two end,lashes can suit on the eyes perfectly.The double magnets are ultra thin and light weight,no burden to eyes.China lash factory direclty manufacture,different styles for choices.Wholesale at large quantity and low price,all best for you. 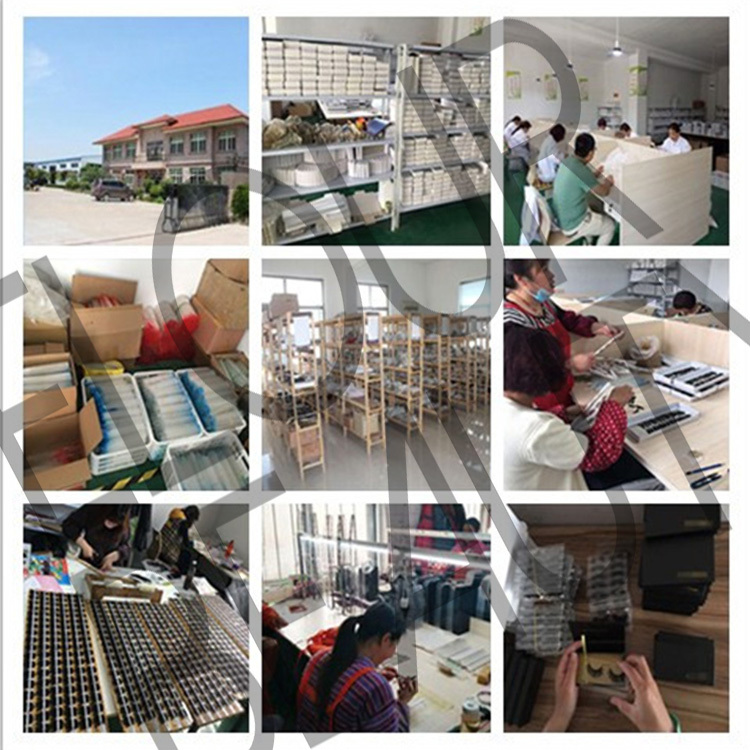 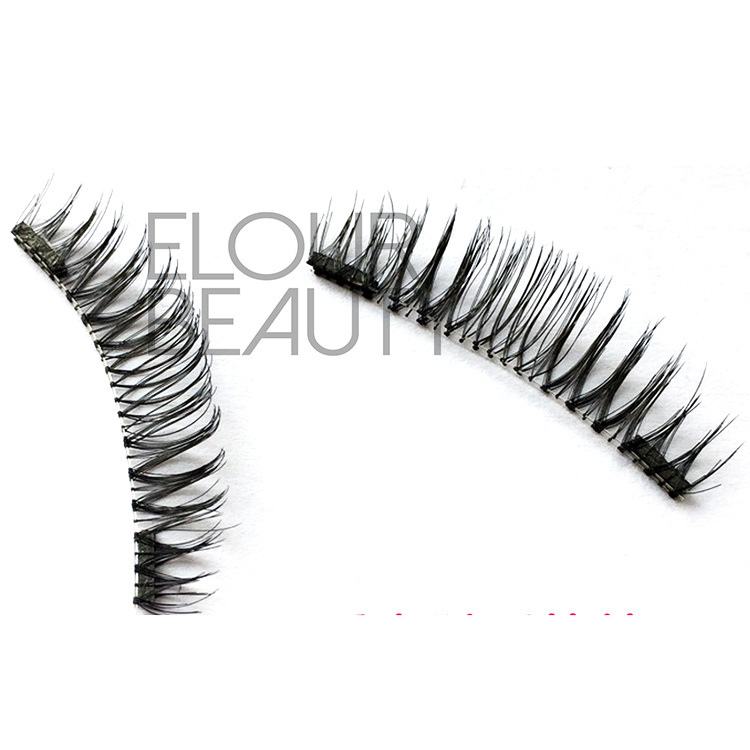 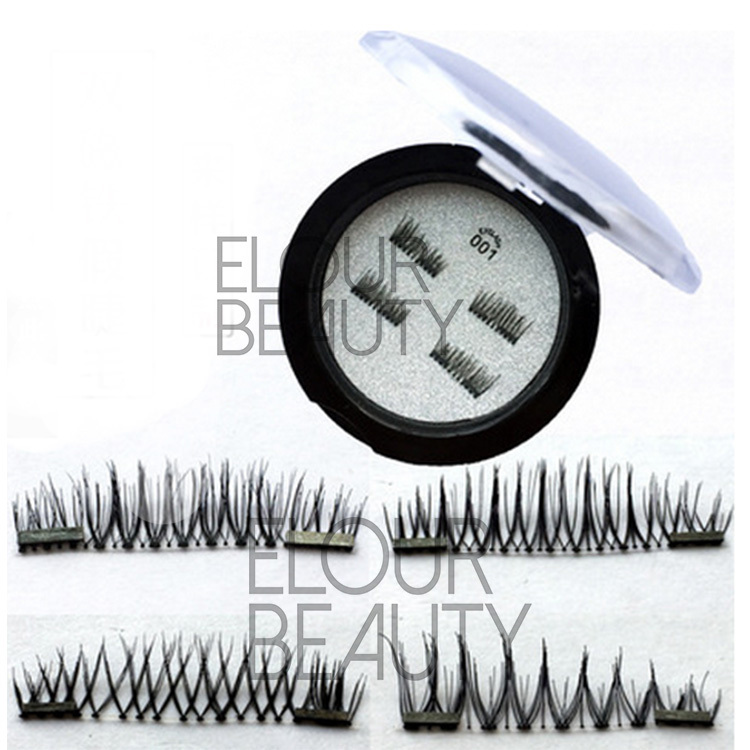 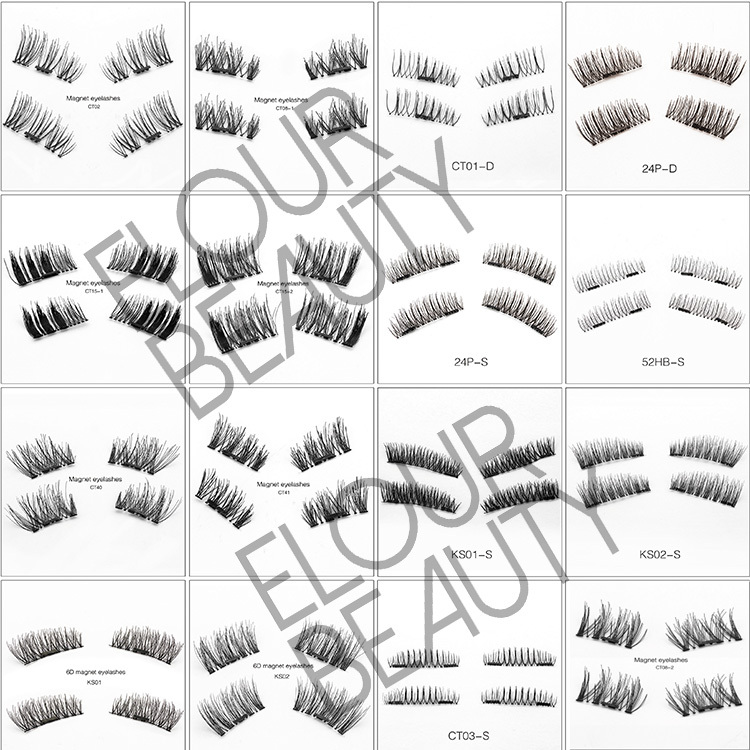 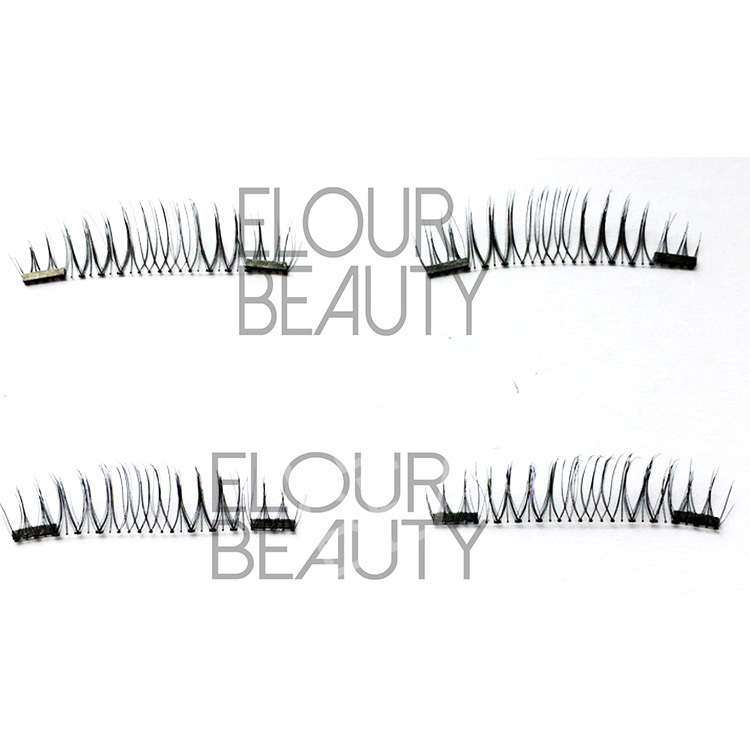 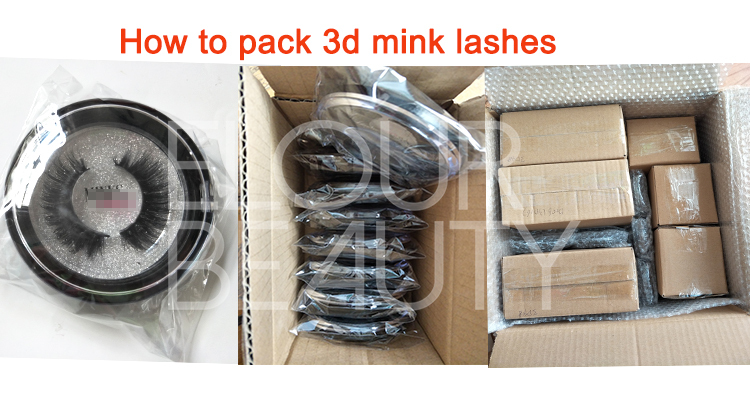 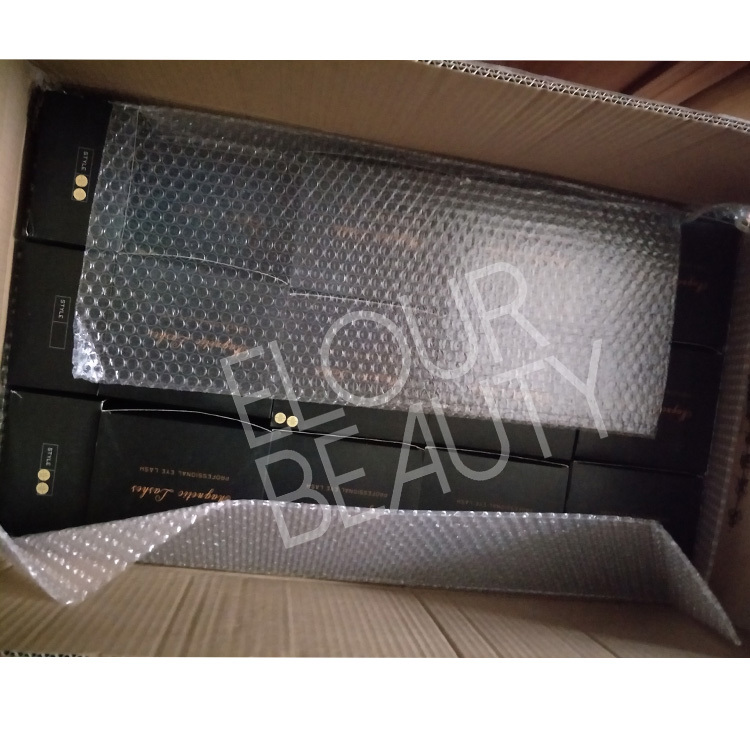 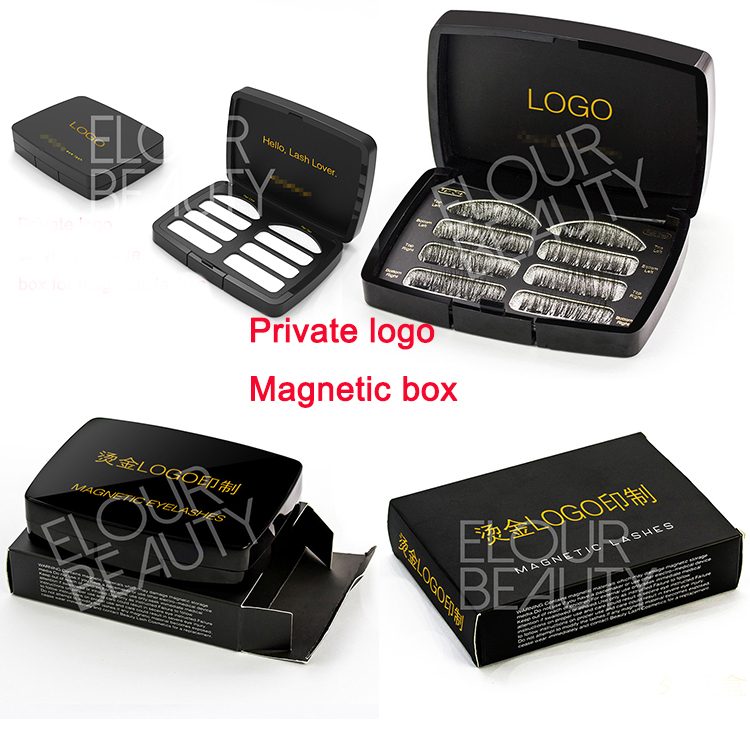 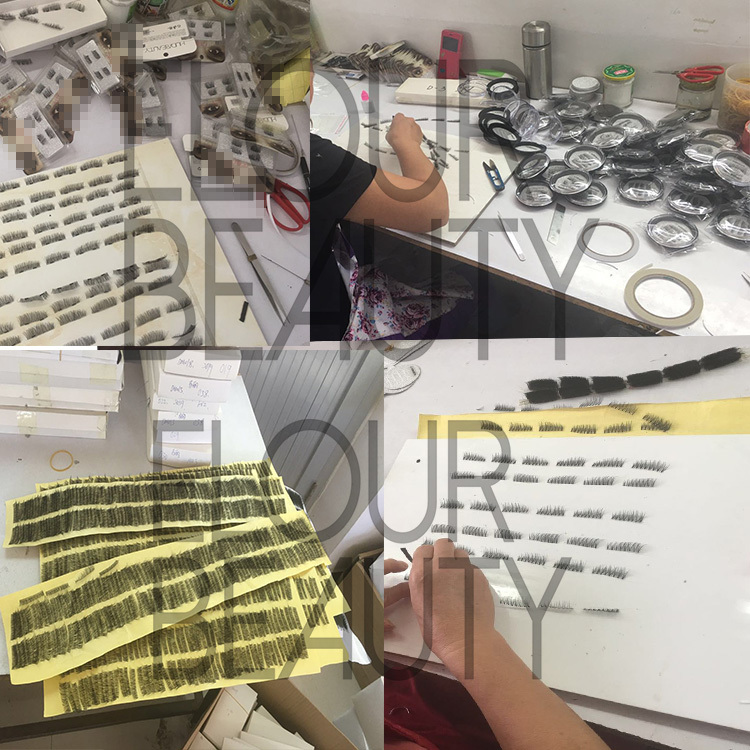 Elour has more than one hundred styles of magnetic eyelashes,in synthetic,3d silk,3d mink,human hairs,are very full choices,we have all the styles others sell.And we guarantee quality,and price is low,and also large stock,for fast delivery.Customers private logo magnetic package boxes for magnetic lashes,different kinds,one pair box,two pair box,free design for you.Professional team service for you. 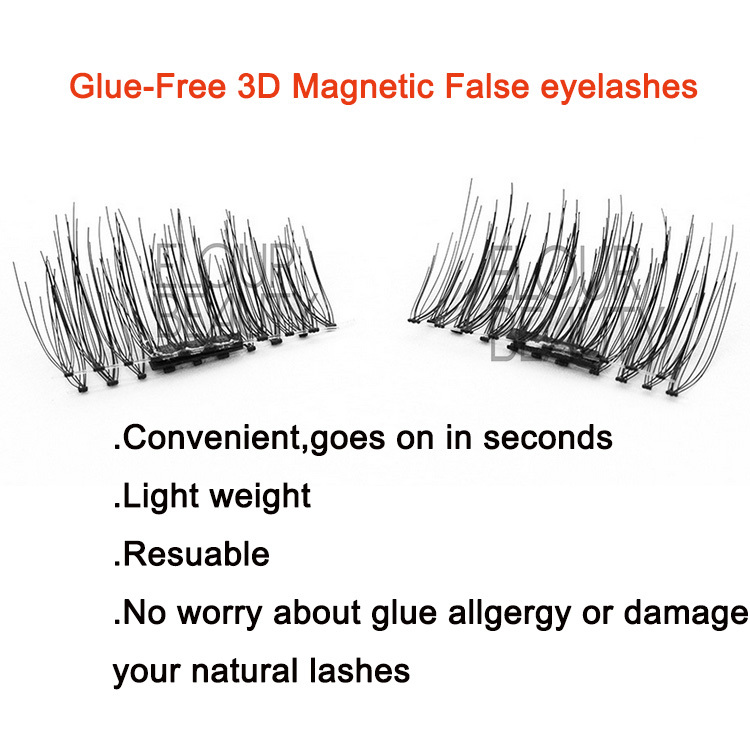 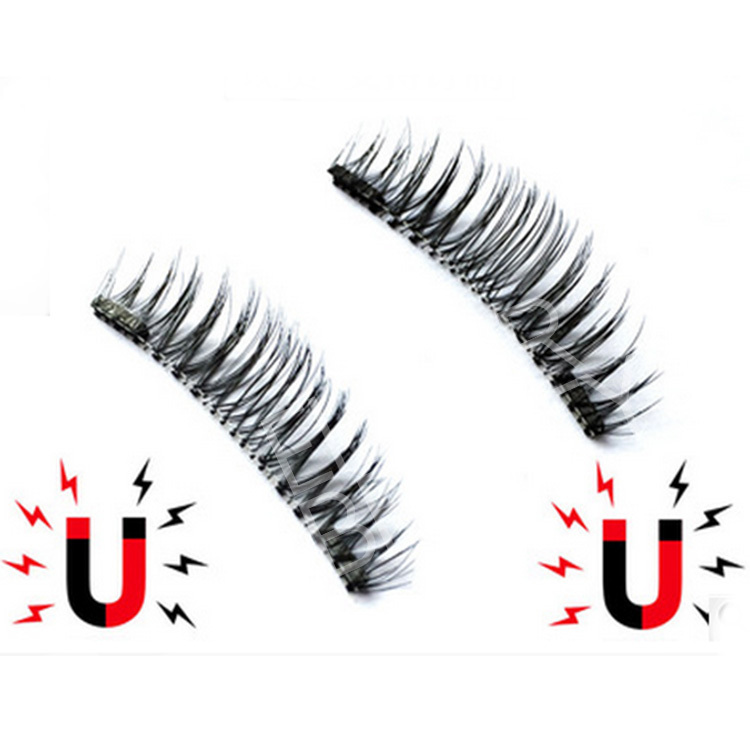 Full magnetic lashes,one pair includes 4pieces,and each piece has two magnets on,so great stick on the eyes. 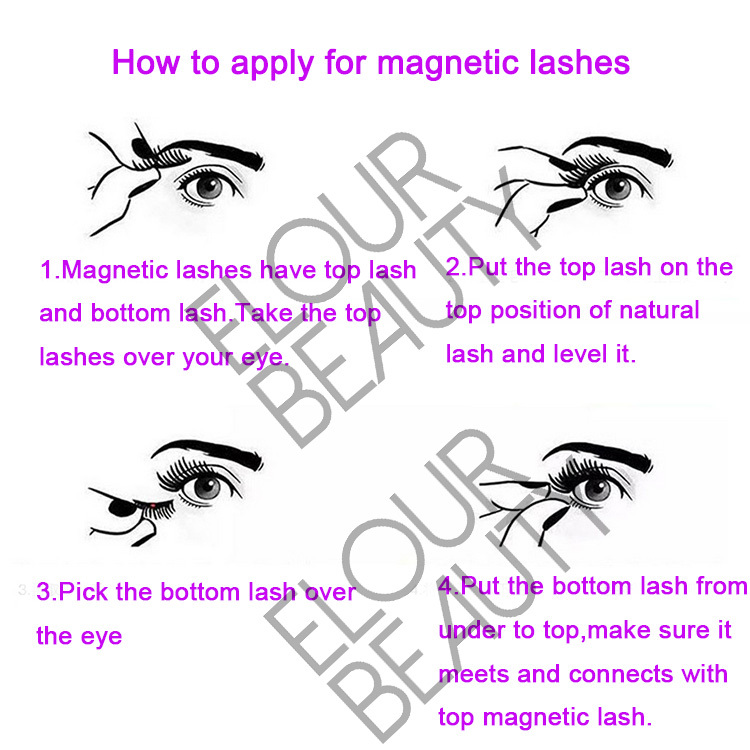 Different styles of full double magnetic lashes,and single magnetic lash,different styles,but same good quality. 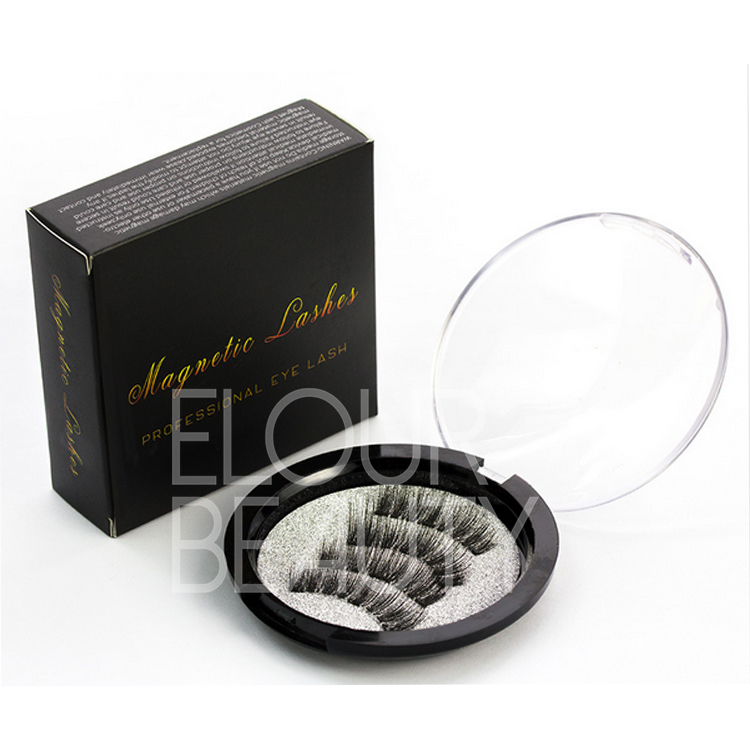 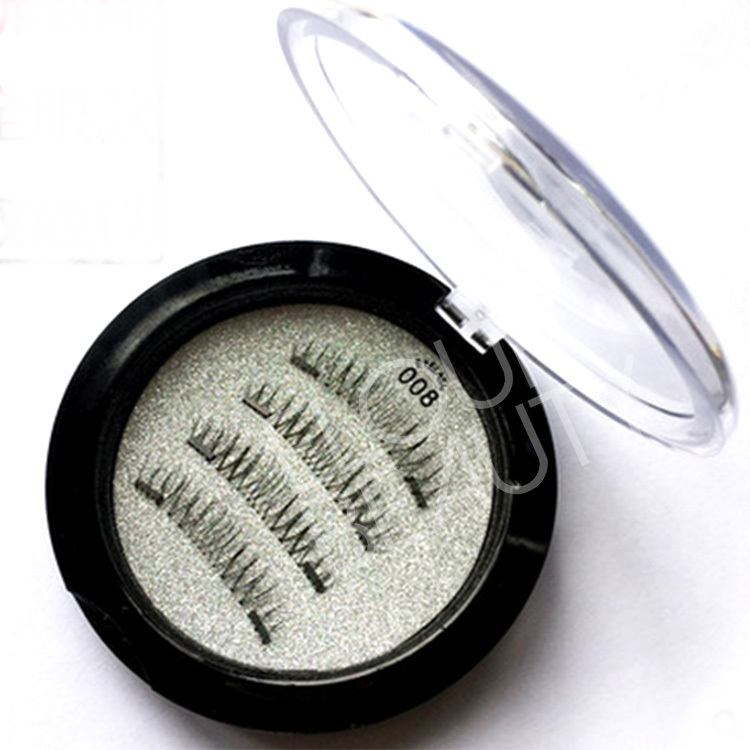 The double magnetic lashes 4pieces pack in the round arcylic box,beautiful. 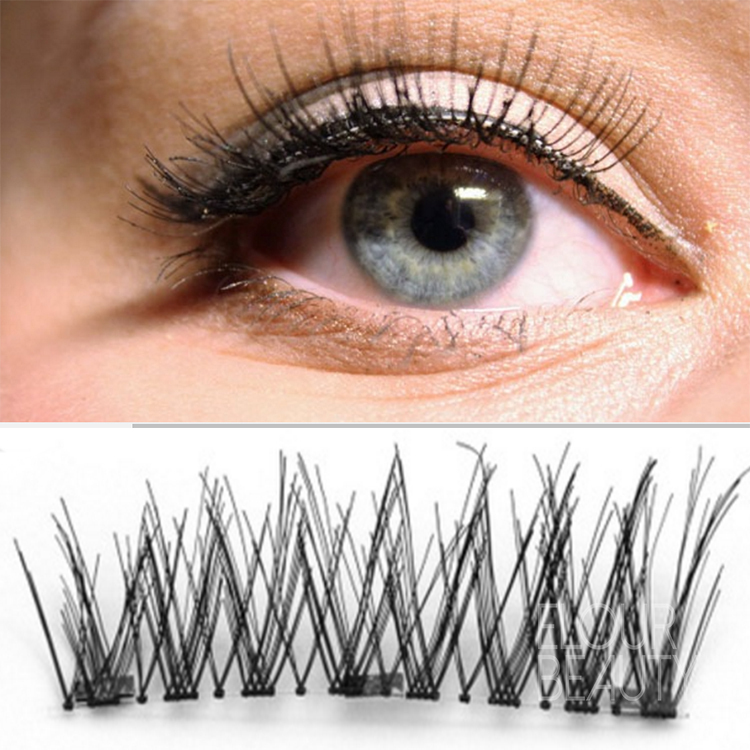 Two pieces of magnetic lashes stick together,double layers effect,easy to apply for.